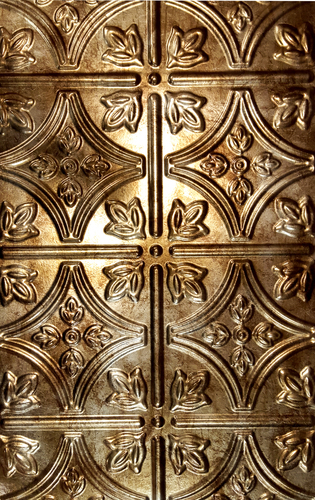 Tin ceiling tiles are decorative embossed metal panels. Decorative tin ceilings provide a vintage look or modern appearance. Art Deco, Victorian and Gothic styles can be used in tin ceiling design projects. The ceiling is a large focal point in your home or place of business. Ceilings are usually under-decorated and plain white. As people explore their individual styles, beautifully decorated homes are becoming more obtainable to everyone. Traditional or modern tin ceilings can coordinate with any decorating style.